Sheltered from indiscreet eyes, carefree on their wonderful island, the Monimalz grew up together in the secret of the world. But today, Mona the graceful whale, Miko the quiet and peaceful panda and Mouki, the mischievous monkey, have decided to travel the world to discover it, thirsty of new adventures. Which one will you adopt? Monimalz is a daily friend who helps kids to learn how to count and cultivate their logical mind. 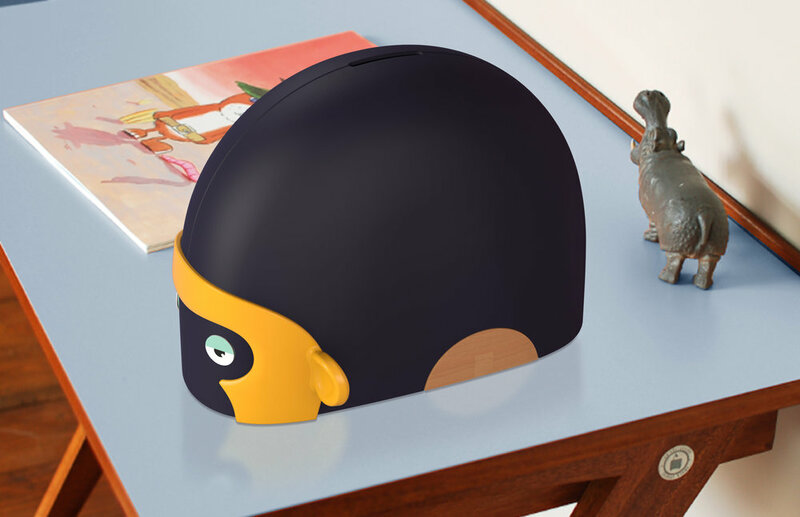 Three interchangeable magnetic masks and eye-stickers allow kids to customize their money box. The child accumulates allowance from missions sent by his parents or gifts from the family to celebrate specific occasions. He can also insert coins and Monimalz reminds him every day the sum of his efforts. A good way for kids to identify their savings and the different ways to meet the ultimate reward. Parents can set challenges linked to their kids allowance, games are teaching them to save. Family's members can participate by transferring money to the account with the app. A flock of fun and educational games are available on mobile and tablet. Get on board for the fantastic adventures taking place on Monimalz Island and participate in the first quest of our new heroes looking for Touko le toucan that disappeared. Each game is designed to develop the mathematical logic of the children according to their school level and their age in order to make them evolve with amusement. Today we are pleased to be able to industrialize our project and to offer it in France. Soon it will be available as well in English and Chinese.